Headlined by fashion magnate ANGELA SIMMONS and lyrical line producer FABOLOUS - Issue #005 of DOPE MAG (the eagerly anticipated "COUPE$ and CONDO$" Diamond Edition) arrives with over 15 artist exclusives. 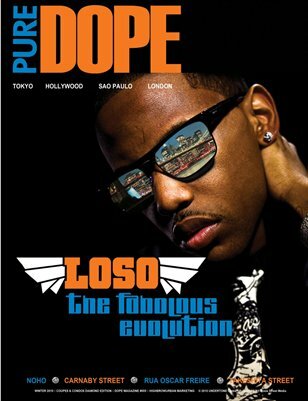 Also included in this issue is the DOPE MAG "Top 10 Emcees of the 21st Century". This ain't a magazine. This is a movie: a HighBrowUrban Art House film in Words and Pictures.